Arson under California Penal Code 451 PC is an inherently dangerous felony caused by your malicious conduct. In fact, arson is so severe that you could be charged with murder in the event someone is killed a result. Due to the severity of the charge, it’s a straight felony that cannot be reduced to a misdemeanor. Arson is a strike offense applied to California’s Three Strike Laws and a conviction carries a mandatory state prison sentence. Contrary to popular belief, this charge does not require the burning of a structure or dwelling, instead vehicles or personal property may suffice. Additionally, arson does not require the creation of “fire” but rather arson requires only the slightest charring. Furthermore, the government may charge you with arson even if you never started the fire but instead assisted or aided in procuring the charring. This article will address 12 things you should know about California Arson laws. WHEN SHOULD I RETAIN AN ARSON DEFENSE ATTORNEY? 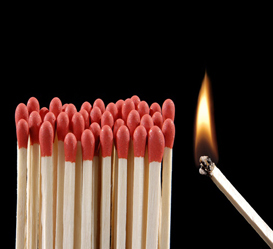 When facing arson accusations, early intervention by an Arson Attorney is critical. Never count on law enforcement to conduct an objective investigation. Instead, an investigation consists of collecting evidence only demonstrating your guilt while omitting all evidence in your favor. Additionally, with the passage of time, crucial evidence is liable to become lost, destroyed, deleted, or necessary witness’s memories fade. By retaining the Law Offices of John Rogers at the cases earliest juncture, Mr. Rogers will personally contact and submit notices to individuals and/or businesses to preserve evidence as it’s relevant to a criminal investigation. For instance, video surveillance footage from business are generally deleted after two weeks. Thus, time is always of the essence. If you’re being accused of arson, contact an Arson Defense Attorney right away. WHAT IS THE LEGAL DEFINITION FOR ARSON PC 451? HOW DOES THE GOVERNMENT PROVE THEIR CASE AGAINST ME? 2. You acted willfully and maliciously. WHAT ARE THE LEGAL DEFENSES TO ARSON? • Arson requires you to act with willful and malicious conduct. In other words, you acted willingly and/or on purpose and you acted with unlawful intent. Therefore, if you accidentally caused a burning or perhaps your conduct does not rise to the level of malicious, then you are not guilty of arson. • The alleging burning does not suffice to “charring” of any kind. • You did not counsel, assist, or help with the charring of a structure, property or forest land. • Your conduct is consistent with recklessness versus willful conduct. • An alleged victim only suffered minor or moderate injury and not great bodily harm. • You did not burn a fixture or the integral part of a structure. • The evidence obtained against you resulted in a violation of your search and seizure rights under the Fourth Amendment of the United States Constitution. • Your incriminating statements were illegally obtained in violation of your Miranda Rights under the United States Constitution. • You were mistakenly identified as the individual who committed this offense. The consequences for PC 451 will depend on whether you set fire to an inhabited dwelling, forest land, property, or causes great bodily injury. • If the burning cases great bodily injury then you face a sentence range of 5, 7, or 9 years in state prison. • If the burning is caused to an inhabitable dwelling then you face 3, 5, or 8 years in state prison. • Arson of a structure, not an inhabitable dwelling, or forest is punishable in the state prison for 2, 4, or 6 years. • Arson of property carries 16 months, 2, or 3 years in state prison. DOES ARSON CARRY ANY SENTENCING ENHANCEMENT? According to PC § 451.1(a), if any of the below circumstance apply, then you consequently face an additional 3, 4, or 5 years in state prison to be served consecutively to your underlying sentence. SHOULD I SPEAK TO POLICE WITHOUT A LAWYER PRESENT? In all arson investigations, normally there will be a specially assigned fire department arson unit who will investigate the circumstances. Fire investigators will attempt to question you regarding the incident and perhaps get “your side of the story.” Since proving you acted with malice or you acted willfully is difficult to prove in court, investigators will attempt to question you to elicit certain statements to assist in building an arson case against you. This means that the more you speak with investigators, the more you limit your options of defeating the charges later in court. If any law enforcement investigator or police officer attempts to question you, decline giving any statement and demand the presence of an attorney. If you did not complete the crime of arson then the prosecution will examine the evidence to determine whether to charge you with attempted arson under California PC § 664/451. To prove this crime, the prosecution must show that you harbored the specific intent to cause a burning and you took a substantial step towards committing the crime of arson. For instance, you showed up to someone’s house with gasoline and a matchbook and you told police that you were going to light the home on firearm for revenge purposes. Although you never actually caused any burning, more likely than not, you would be charged with attempted arson. This charge carries severe consequences and is a strike offense requiring a mandatory state prison sentence. WHAT ARE EXAMPLES OF ARSON? • Lighting paper under your roommate’s door to get them out the apartment. • Intentionally lighting your boyfriend’s car on fire for revenge purposes. • Lighting fireworks in your hotel room during the Fourth of July. WHAT IS UNLAWFULLY CAUSING A FIRE PC 452? Unlawfully causing a fire, also known as “Reckless Burning” is charged under a separate code section since it entails different conduct. Moreover, reckless burning is charged under California PC 452 which does not require malicious conduct as arson does, but instead requires reckless conduct. The same rules and concepts apply to reckless burning as arson. 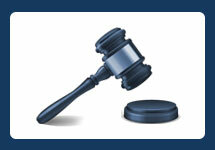 Generally, the legal issue in any burning cases is your level of behavior and which charge your behavior comports with. 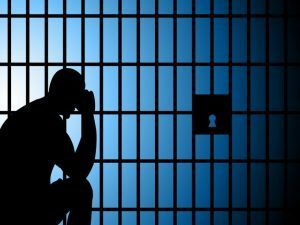 For instance, the prosecution argues your conduct rises to the level of malice, but your defense attorney will often counter claiming your conduct does not rise to that level, but instead it was reckless consistent with reckless burning – which carries substantially less prison exposure. Reckless burning is not a strike offense and is a wobbler offense which mean you could be charged with either a felony or misdemeanor. Fortunately, you may be eligible to reduce your felony to a misdemeanor under PC 17(b) after successful completion of your probation period. 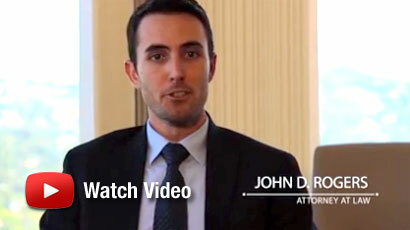 If you’ve been arrested, charged, or are under investigation for arson or reckless burning under PC 451 or 452, contact a Criminal Defense Attorney at the Law Offices of John D. Rogers for a free confidential consultation concerning your rights and defenses.